Nidhogg 2 makes a funny first impression. The game's new look is a bit brutish compared the sleek minimalism of its predecessor, and the expanded arsenal -- which includes a dagger, bow, and broadsword -- steers away from the elegance of rapier duels. Compared to the original's simplicity, Nidhogg 2 seems like sensory overload. I know I'm not the only one to balk at it, either. While checking the game out at PAX East 2017, I overheard a conventiongoer remark that the gangly-armed characters made it seem like a "weird Nidhogg clone." It's not a clone, of course, but rather a full-on sequel. And after stabbing my way through one grueling match, it's clear that Messhof's second game plays much like the first. 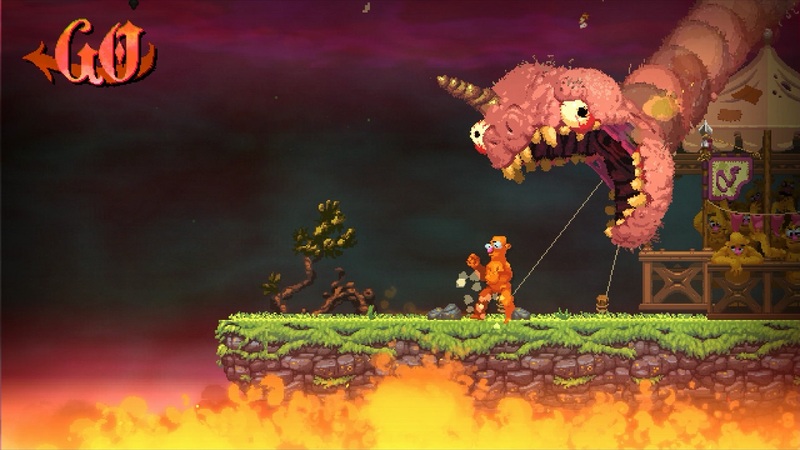 On a basic, mechanical level, Nidhogg 2 doesn't reinvent the combat wheel. Fights still play out like a series of violent dances. The constant push-and-pull that made Nidhogg a cult hit among competitive duelists remains intact. If anything, the game's updated graphical style adds more to the intensity of combat. By scaling the size of its character models up and fully rigging their limbs, each attack (and death) is as expressive as it is grotesque. Any reservations one might have about how the new weapons might affect bouts can be checked at the door. During my hands-on time with Nidhogg 2, I was able every test weapon available. Each one is used in a near-identical manner to the first game's stance-switching system, except for the bow, which you have to draw back before firing. Though I didn't have the time to become a master with the broadsword or dagger, it's clear that they're not only as viable as the rapier, but possibly more useful in specific situations. The broadsword's cleaving arc, for example, seems designed to create and maintain distance. Daggers play an opposite role, both quick and efficient for getting in and stabbing quickly before your opponent has time to react. I can't help but be excited at the prospect of more Nidhogg. Even in a single match, it was all too easy to get swept up in the thrill of pitched combat. 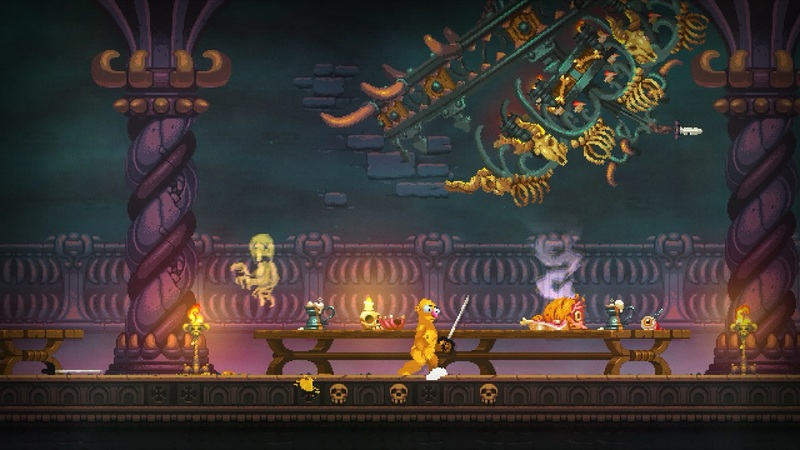 Just like its predecessor, Nidhogg 2 can make you feel like a mind-reading warrior when things go your way or an ill-equipped scrub after getting juked out for the fifth time in a row. The allure of another game based around a deadly tug-of-war and flying snakes is too good to pass up. So while Nidhogg 2's appearance might have initially turned some people off, I'm confident in saying that there's nothing to fear. Looks can be deceiving, and amid the weirdos and warriors that populate Nidhogg 2's long corridors, there's a polished, intense game waiting to launch this summer.